Warren Cycling is cycling at its best. From fantastic camps and tours to clinics, workshops and one-on-one relationships, Warren Cycling helps you to bridge the gap from where you are to where you want to be. In short, we help you to reach your cycling goals through outstanding experiences. Whether you join us for one of our camps or establish a long-term relationship through individual coaching, we are confident that you will become a better cyclist and find a more fulfilling relationship with cycling through our services. 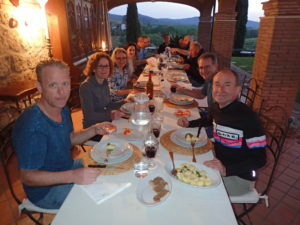 Plan now to join us for a week of road cycling and Tuscan culture in June 2019! We will stay at Max and Michela Lelli’s Il Raduno Estate in the Tuscan Countryside. This is the perfect trip for both the serious and less-serious cyclist who wants to also drink in the culture of Tuscany. Daily rides (geared towards each rider’s ability level) will prep the rider for the beautiful Granfondo Montecatini Terme – Riccardo Magrini at the end of our camp. We will also visit walled cities, natural hot springs as well as local wine and olive oil producers. Dining at Il Raduno “rivals Italy’s best restaurants” and our week even includes a cooking class so that you can reproduce some of authentic Italy in your own kitchen and be reminded of your Tuscan dream for years to come. Plan now to be a part of this experience that will be a true lifetime highlight! More details to come! Make your plans now to join us as we head back to Italy in April 2018. Warren Cycling will once again be joining with Max Lelli to participate in the Giro d’Sardinia. This is a week-long Stage Race for all abilities. From former and future pros to tandem mountain bikes, this event is for everyone! For more information see our 2018 Giro d’Sardinia page. Come join us May 4-7, 2017 for an amazing 4 days of riding in and around Asheville, NC. 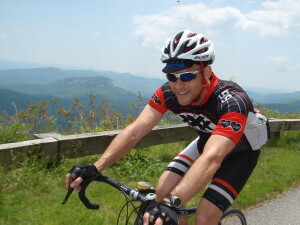 Check out our Camp Schedule for 2016 including our Open Climbing Camp to Asheville, NC and our Italian Gran Fondo Camp! “Randy’s camps are extremely professional without being rigid. The atmosphere is very casual and fun and yet everything goes smoothly and precisely. Randy knows what to provide for people who are serious about their training and the support crew does a great job of being nearby nearly all the time in case there is a mechanical or weather issue.